Beyond the surface: discover more about stone countertops. 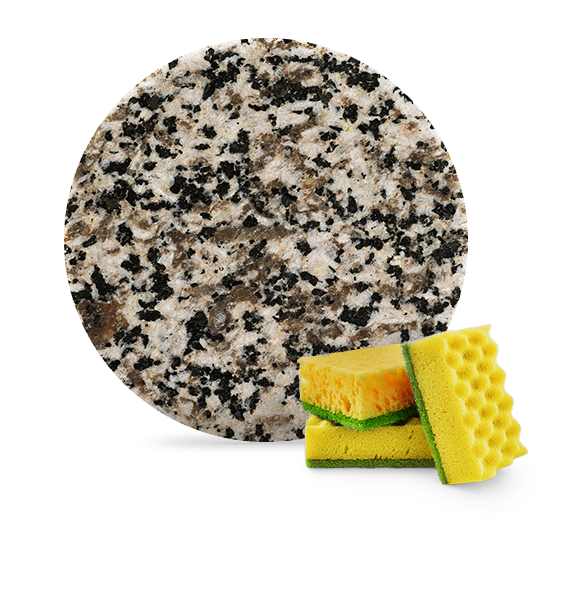 Granite care and maintenance is as easy as wiping granite with a damp cloth and a pH-neutral stone cleaner. A sealer will help protect it from daily wear. Clean it regularly with a soft cloth and warm water. A mild soap works best. 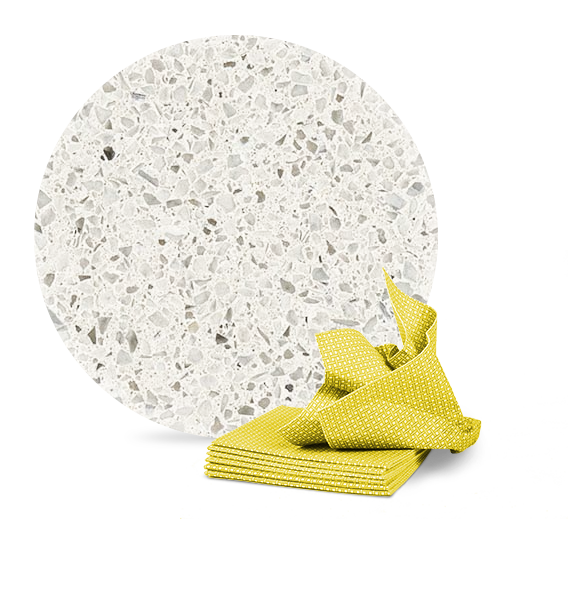 Apply a granite sealer every year to help protect it from spills and scratches. Never use bleach and abrasive cleaners. These can etch the stone. Never place hot objects like pots and pans directly on the stone. Use trivets or mats. Marble care and maintenance requires a bit extra care. The porous, yet beautiful stone can easily stain and etch. Avoid harsh and abrasive cleaners. Clean often with a warm wet cloth and a mild soap or a special stone cleaner. Take care when pouring or setting down acidic drinks like orange juice and soda. 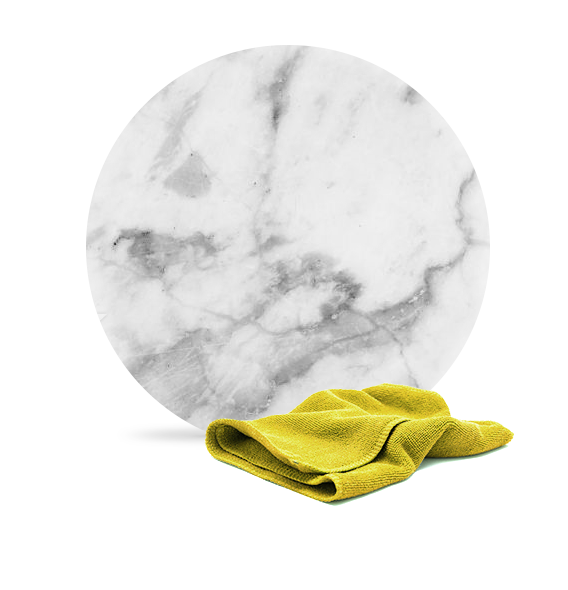 Don’t let spills sit on marble. Clean them immediately or they will stain. Never place hot objects like pots and pans directly on the stone. Use trivets or mats. Marble’s surface can easily damage. Quartz care and maintenance is the simplest of all the stones we carry. Because of its strength, quartz is also more resistant to surface damage. Clean regularly with warm water and a soft cloth. A sealer isn’t necessary. Don’t use bleach, abrasive cleaners on quartz. These will cause the gloss to dull.